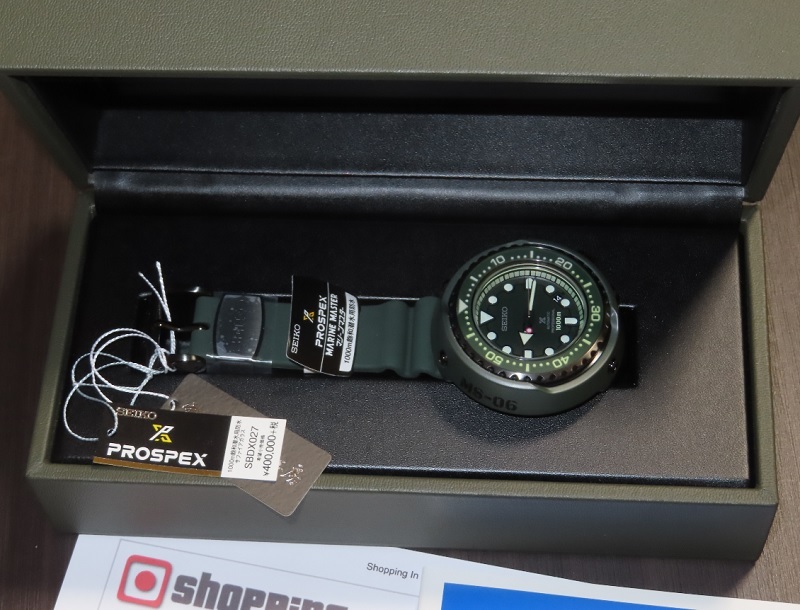 Best price from Japan on this Seiko Prospex SBDX027 or as known as SLA029J1 (internationally) Emperor Tuna 1000m. 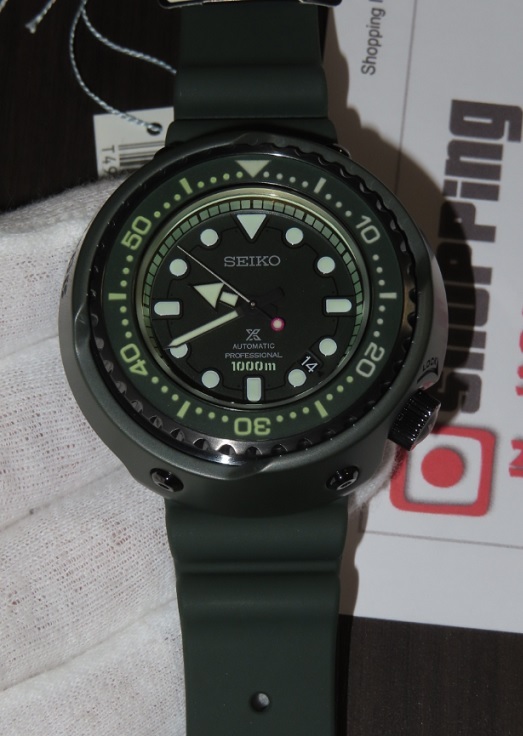 dive watch limited Gundam Mobile Suit green Zaku II version with 8L35 automatic movement that comes with Ceramic Shroud that has stencil referencing the MS-06. This Marinemaster Gundam SBDX027 is a JDM (Japanese Domestic Market) watch model and it's now in our stock - ready to ship within 48 hours to any country. So buy now before it’s too late!